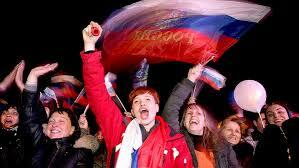 The treaty had been already ratified by both houses of the Russian parliament. Under the decree, the Russian Federation will have 85 regions, up from the previous 83. 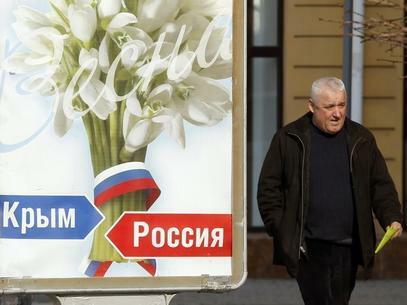 The Republic of Crimea and the city of Sevastopol, which has a special status within the region, were added as subjects of the Russian Federation following a referendum Sunday in the Black Sea region, which saw over 96 percent of voters in the region back the motion to leave Ukraine and rejoin Russia. 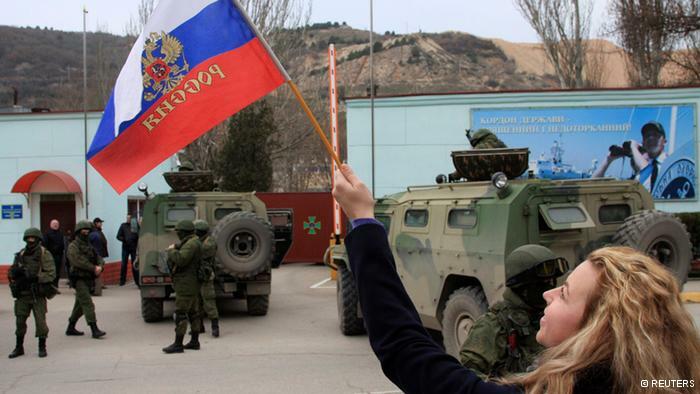 Putin also signed a decree making Simferopol the capital of Russia’s new federal district of Crimea, the Kremlin said. Oleg Belaventsev, who previously headed a Defense Ministry affiliate, Slavyanka, was appointed presidential envoy in the district. 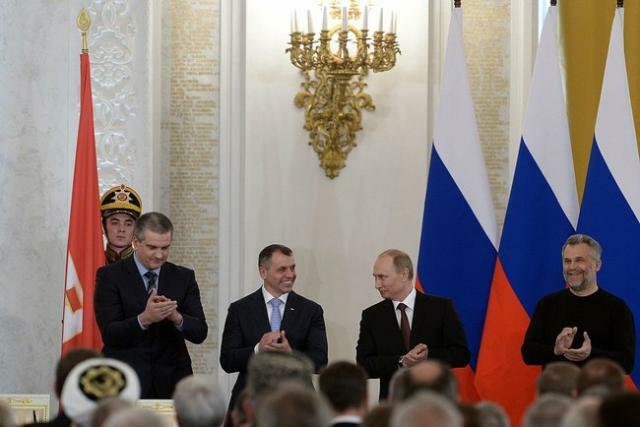 Russian President Vladimir Putin along with Crimean Prime Minister Sergei Aksyonov and other leaders of the region signed an agreement Tuesday in the Kremlin stating the Republic of Crimea was now to be considered Russian territory. Leaders in the predominantly Russian-ethnic republic refused to recognize the legitimacyof the government in Kiev that came to power amid often violent protests last month, instead seeking reunification with Russia. Esse post foi publicado em EUA, Rússia/União Soviética, Segurança e Defesa, Um pouco de tudo, União Européia e marcado Crimeia, crimeia russia, crise ucrania, Kremlin, Moscou, OTAN, Pacto de Varsovia, Putin, referendo crimeia, Sebastopol, Ucrania por Joanisval. Guardar link permanente.